The earpads, made of memory foam, mould to the shape of your ears, becoming increasingly more comfortable as the times goes by. Compatible with most gadgets. The headset requires an adapter for Xbox One. A digitally enhanced noise-cancelling microphone and automatic sound adjustment make the headset a perfect choice for any gamer. What's more, the 53-mm drivers deliver the most brilliant audio performance, with a robust pass and clear highs and lows. The ProSpecs glass relief system incorporates a comfort-driven profile. It removes pressure on the glasses while you play, making it particularly suitable for bespectacled gamers. 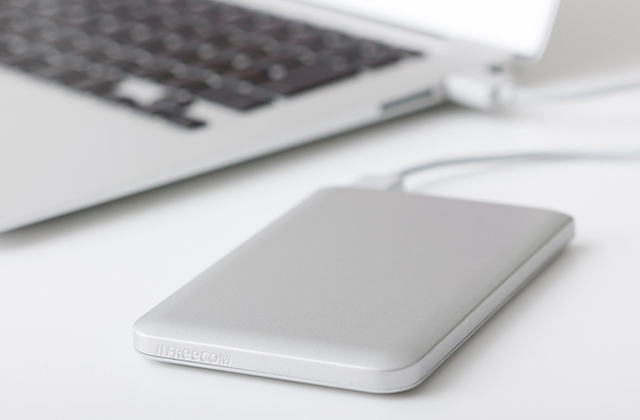 The battery will give you 15 hours of non-stop performance on a single charge. Some of the features are strictly limited to PS4. 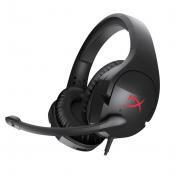 If your preferred gaming platform starts with PlayStation and ends with 4, this is the headset for you. You'll be hard-pressed to find a different model that delivers such a great balance between ergonomics and audio performance and comes at a similar price. Equipped with S1, one of the better mid-range speaker drivers, the headset will provide you with the competitive advantage that is an outstanding sound clarity. Built to produce ultra-low distortion audio, it will allow you to hear every little detail. Isn't the best headset for people who wear glasses. SteelSeries Arctis 3 is easily one of the company's best mid-range headsets and that is saying something. Though the sound quality does not disappoint, it is the model's well-thought-out design that allows it to edge out most of the competition. Thanks to the Bass Boost technology, you won't just hear the bass - you'll feel it. The high-sensitivity mic might impress even the most demanding customers, mostly thanks to how loud and clear it picks up the voice and how conveniently it flips up to mute. The frequency range is relatively limited. 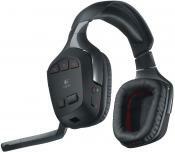 Turtle Beach Recon 200 manages to edge out the competition thanks to a couple of things. 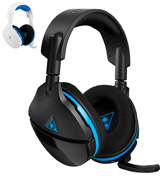 First, this is one of the more robust gaming headsets in this price range. Second, the manufacturers have been able to improve the model's durability without sacrificing aesthetics and performance in return. 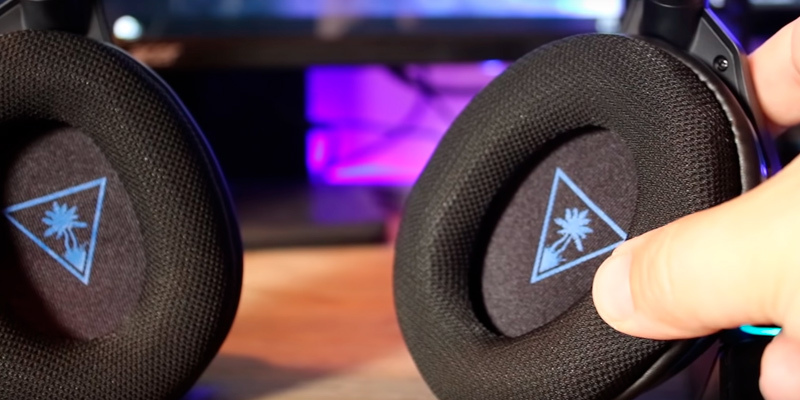 The memory foam cushions with cooling gel pads will keep your ears nice and comfortable through long gaming sessions. The bauxite aluminium frame and headband make the model particularly durable without sacrificing its lightweight and flexible design in return. Doesn't support the Virtual surround sound technology. 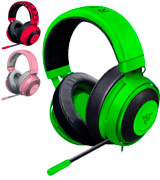 We could recommend Razer Kraken Pro V2 to people who take their gaming endeavours seriously. With this gaming headset, you'll be able to showcase your skills. The drivers and the high frequency range will give you a noticeable competitive advantage over your less fortunate opponents. Most manufacturers pay a lot of attention to design and functionality of peripheral devices for a computer. 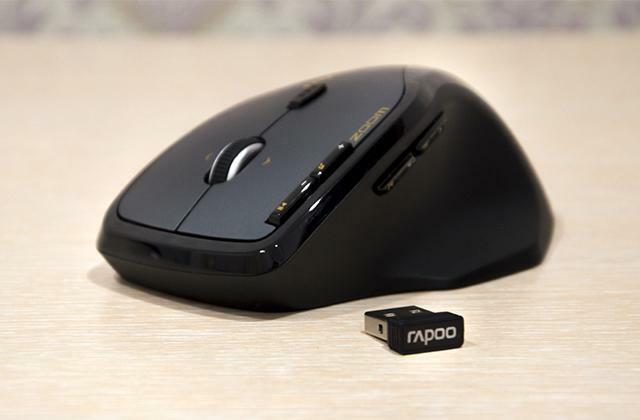 Mostly it refers to mice, keyboards and other accessories designed specifically for gaming. Headsets are not an exception here since a design of many models is a result of truly courageous and innovative decisions. To make a decent competitive gaming headset, engineers do their best implementing most advanced technologies in the products. 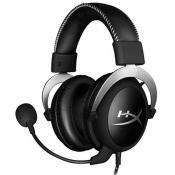 HyperX Cloud II is the flagship among high-quality professional gaming headsets which boasts remarkably high detailed sound and balanced set of other technical features. The model has an excellent frequency response from 15Hz to 25,000Hz which delivers intense sound with solid strong bass and crystal-clear mids and highs. With this superb accessory, you get an amazing chance to not only get into the game and hear your friends and opponents but also enjoy your favourite music with detailed clarity. An advanced audio control box which can be connected to any available USB port will allow you to easily manage audio and microphone volume! It's so comfortable! 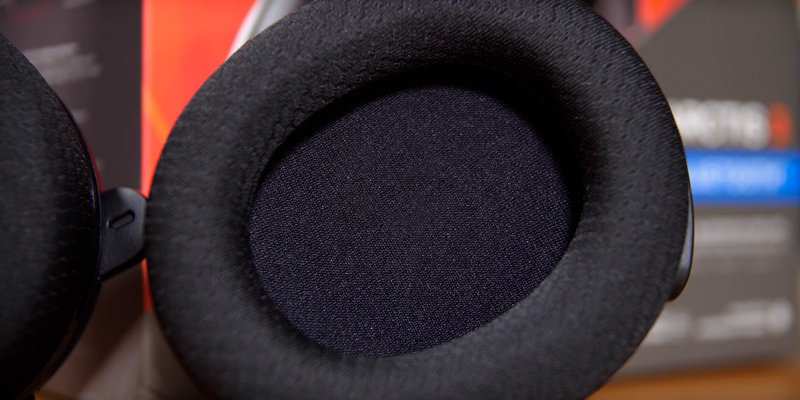 Most often, earpads are made of foam and leatherette. In a case of longer gaming sessions, such headsets can cause ear discomfort for users distracting their attention from battlefields. 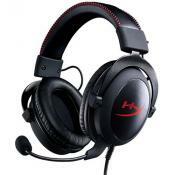 However, in HyperX Cloud II, all details seem to be carefully elaborated. The earpads are made of memory foam that moulds to the shape of your ears, becoming more comfortable and enhancing sound quality over time. 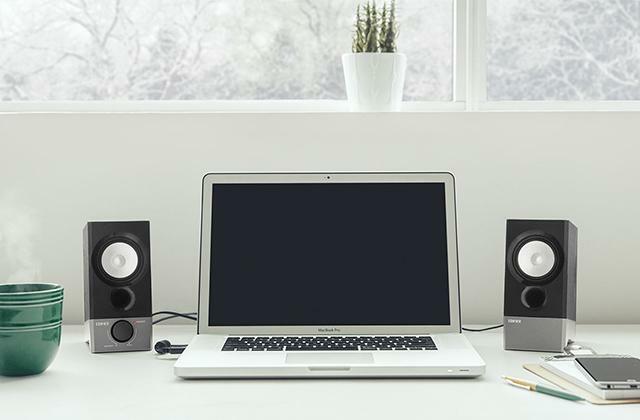 Therefore, this device will last long ensuring incredibly clear and crisp sound. 53mm drivers provide enhanced audio performance, and aluminium headband makes the headset solid and reliable. A microphone is one more essential part needed for any gamer. 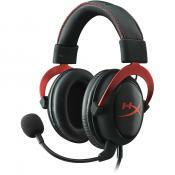 HyperX Cloud II Gaming Headset features a detachable microphone which can be unplugged when necessary. Enjoy a comfortable listening experience whenever you wish to listen to your favourite music albums! Get the maximum excitement from this remarkable headset! Your average pair of headphones doesn't hold a candle to a quality gaming headset. That said, among the often snobby audiophile community, these gaming devices often get a bad rep. More often than not, it isn't entirely justified but it's not like it is an unsubstantiated stereotype either. Thing is, these headphones almost always deliver in the ergonomics department and are always packed with an abundance of blinding features. But the sound quality isn't always what you'd expect from a quality headset. Long story short, gaming gear isn't always what it is cracked up to be but isn't the case with Turtle Beach Stealth 600. 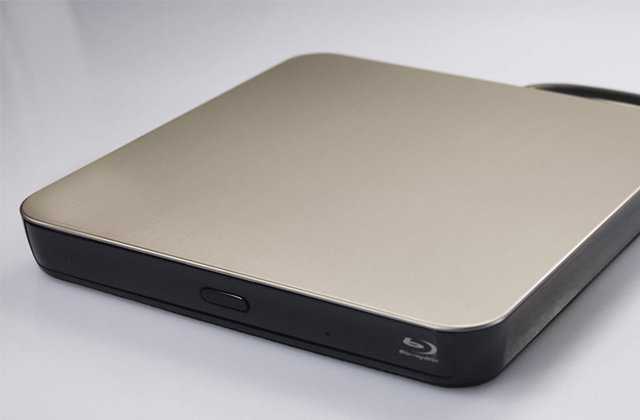 What separates this model from the majority of its gaming competition is the 50-mm drivers. These powerful drivers are the main culprit behind the headphone's robust bass and a crisp treble performance without noticeable distortions. Of course, the device is still a gaming headset first and foremost, so all of its hardware mostly works towards improving your gaming experience and performance. A huge part of it is the 4 audio presets that you can use to customise the way your games sound. Among those 4 presets, you will find the Bass Boost mode, one of the most popular audio modes. Another part is the company's very own Superhuman Hearing sound setting. With this setting, you will be able to pick up every little noise, from quiet footsteps of enemies trying to sneak up on you to their weapons reloading before an ambush. In case we haven't made it clear already, this is a quality gaming headset through and through. So, we probably don't need to emphasise the virtual surround sound system and how it will help you immerse yourself in any piece of media on any platform. But we definitely couldn't overlook the ProSpecs glass relief system. By incorporating a comfort-driven profile, it removes pressure on the glasses while you play, making the model a particularly good choice for bespectacled gamers. Aside from that, these headphones don't really present any new ideas. 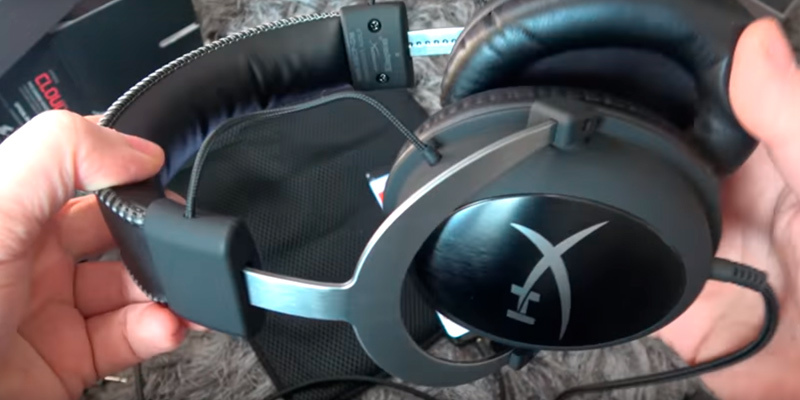 The company's high-sensitivity flip-up microphone that accompanies all of their headsets is still there, picking up the user's voice loud and clear. As you can infer from the pics, we're dealing with a wireless model here, so you won't be limited by any wires. Plus, the battery will give you 15 hours of non-stop performance on a single charge, more than a respectable number for this class of headphones. Really, the only major downside of this headset is that some of its features don't work with a PC or an Xbox. So, if your preferred gaming platform starts with PlayStation and ends with 4, we can't really think of a reason why you shouldn't invest in this gaming headset. 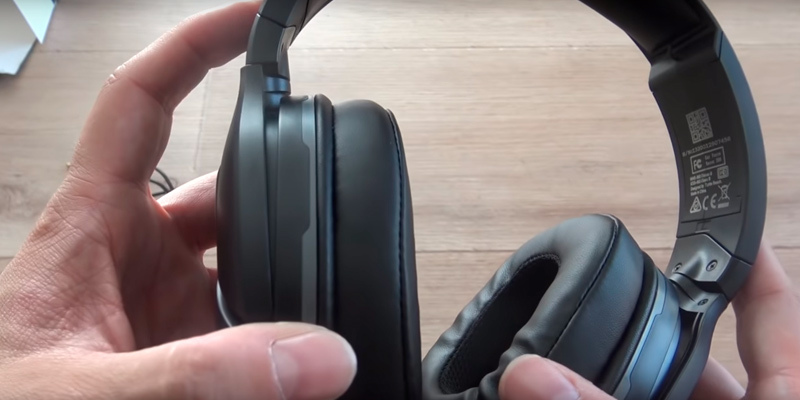 You'll be hard-pressed to find a different pair of headphones that deliver the same balance between ergonomics and audio performance and come at a similar price. 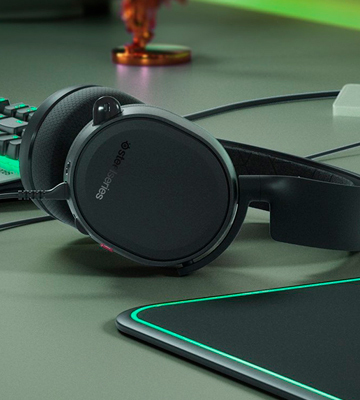 Aside from Razer, SteelSeries might be the company that is most synonymous with gaming gear, especially peripherals. The company's designed and manufactured hundreds of different gaming devices. Sure, not all of them are exceptional. But, more often than not, they're right on the money, providing their customers with quality gaming gear at a fair price. SteelSeries Arctis 3, the model in question, serves as a pretty good example of the latter principle. On one hand, it builds upon the foundation of dozens of its predecessors. 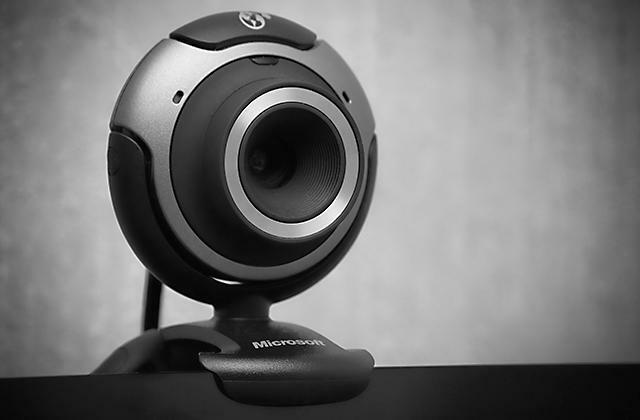 For instance, there's the company's trademark ClearCast bidirectional mic. For its price, the mic delivers an almost studio-quality voice clarity and superb background noise cancellation. This little technology makes this microphone particularly suitable for offline LAN tournaments. Aside from the mic, the thing that Arctis 3 has in common with other SteelSeries headsets is its compatibility with just about any gaming platform out there. Thanks to the detachable 3.5-mm cable with a 1.8-m splitter adapter cable, you'll be able to connect the headset to a PC, Mac, XBox, PS4, Nintendo Switch, or even mobile phones. SteelSeries and a well-thought-out design with excellent ergonomics almost always go together. Here, these ergonomics are mostly represented by the AirWeave™ ear cushions. The athletics-inspired fabric of these cushions keeps your ears cool and dry so that you're able to maintain a high-level performance for hours on end. That said, the company's very own ski goggle suspension headband plays just as important of a role. By perfectly contouring across your entire head, it eliminates all pressure points, so you stay comfortable no matter what. 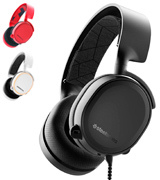 Even the biggest SteelSeries fanboys would have to admit that the company doesn't always deliver on the audio front. Fortunately, as far as the sound quality is concerned, Arctis 3 doesn’t really leave a lot of room for complaints. 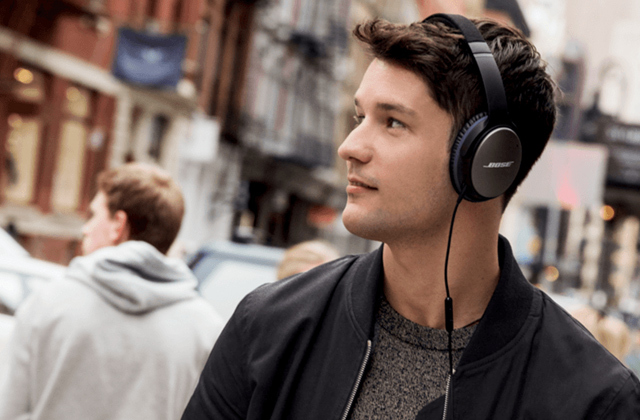 Equipped with S1, one of the better mid-range speaker drivers, the headset will provide you with the competitive advantage that is an outstanding sound clarity. Built to produce ultra-low distortion audio, it will allow you to hear every little detail. The on-board control panel is nice but it doesn't really bring anything new to the table. The volume trigger and the mic mute button are comfortable and accessible enough to make quick game-time adjustments, which is really all that we ask for. At the end of the day, SteelSeries Arctis 3 is easily one of the company's best mid-range headsets and that is saying something as they've been able to produce a multitude of great models over the years. 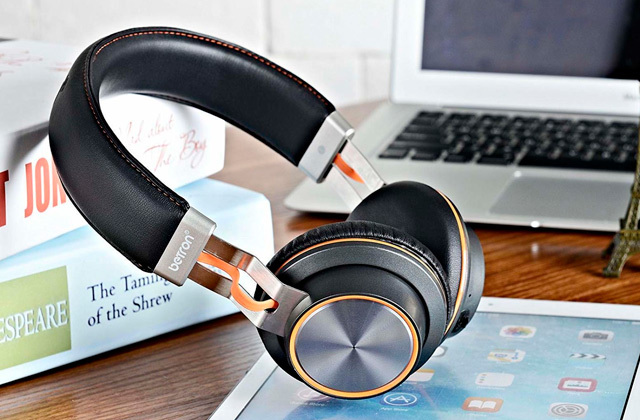 Though the sound quality does not disappoint, it is the model's well-thought-out design and affordable price that allow it to edge out most of the competition. Turtle Beach make quality gaming headsets, there's no denying it. 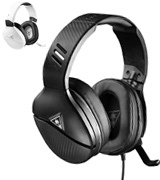 Take Turtle Beach Recon 200, for example. Gaming gear is seldom devoid of cool features and it almost always delivers on the performance front. But it isn't unheard of for gaming peripherals to be made of flimsy and outright cheap materials. With Recon 200, that couldn't be further from the truth. Sure, the foundation and the main frame of the model are still made of plastic. But, on top of that, you get a metal-reinforced band. A band like that makes the whole thing a lot more durable, which is never a bad thing in our book. Of course, it is still just the band, so you have other components to worry about too. But you wouldn't have to worry too much. For instance, the synthetic leather-wrapped memory foam cushions don't just add an extra level of comfort but also a durability point or two. 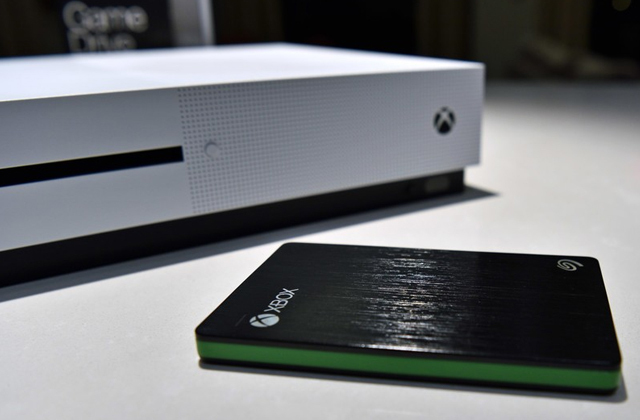 Sometimes, you'll manage to trick a couple of gamers into buying a flashy product with a disappointing performance. But a device like that will not be able to achieve any kind of commercial success in the long run. At the end of the day, gaming headsets are still headsets, so you cannot overestimate the performance of the audio quality. Which is precisely why so many people decide to go with the Recon 200 model. 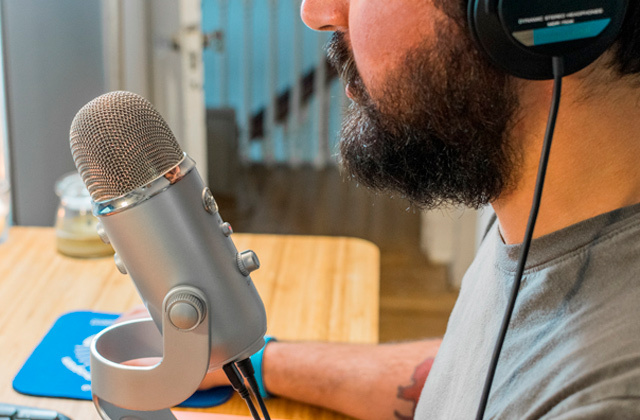 So, how good is the model when it comes to audio quality? Pretty darn good actually. Considering its price range, there is really not a whole lot to complain about here. Its 40-mm drivers give you crisp highs and thundering lows. Thanks to the Bass Boost technology, you won't just hear the bass - you'll feel it. Alright, quality is great and all, but what about the volume? Well, the model in question does come equipped with a powerful amplified audio system. Which is great because, honestly, louder is almost always better. Along with the 7.1 surround sound, this system will allow you to truly immerse yourself in the gameplay and even experience your favourite films and music titles in a new light. Turtle Beach microphones were never the company's weakness. For those who've used their headsets before, the model's mic won't prove anything out of the ordinary. 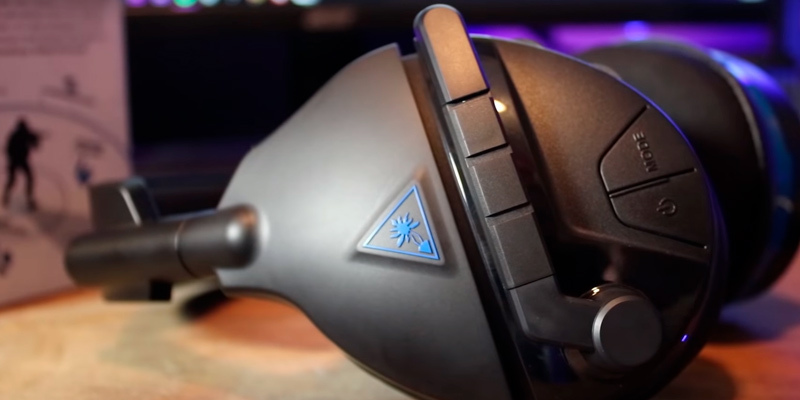 But if you haven't used the company's peripherals before, there's a good chance you will be impressed with the high-sensitivity mic, especially how loud and clear it picks up your voice and how conveniently it flips up to mute. 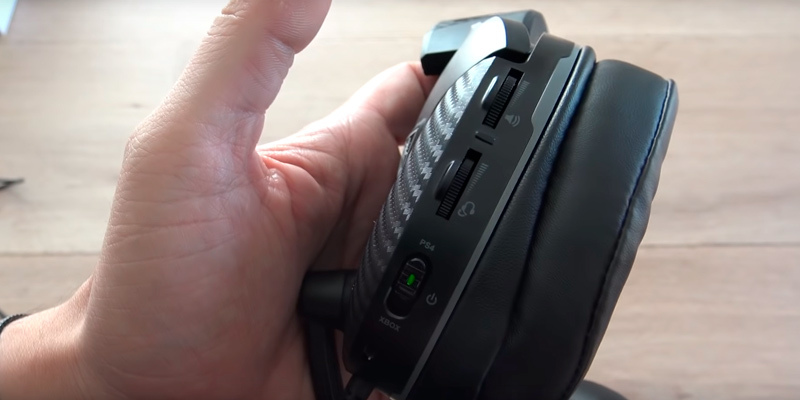 Plus, taking a page out of Razer's and SteelSeries' books, the mic seamlessly blends into the headsets sleek design, a nice little detail that improves the overall appearance of the whole unit. In conclusion, there are a couple of things that separate Turtle Beach Recon 200 from the otherwise unremarkable crowd. First, this is one of the more robust gaming headsets in this price range. Second, the manufacturers have been able to improve the model's durability without sacrificing aesthetics and performance in return. Gaming peripherals are seldom cheap. Unless you're made of money, there's a good chance you don't want to be buying a new pair of headphones every year or so. Which is why looking for the most durable option that the gaming market has to offer will often prove a sensible choice. 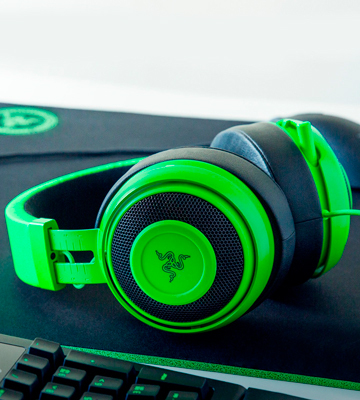 On that note, we would like to direct your attention towards Razer Kraken Pro V2. Sure, this is Razer we're talking about. The company has lots of fans but no shortage of haters either. Convincing the latter that this pair of headphones isn't as flimsy as some of the company's earlier products occasionally turned out to be could be a challenge. But we'll gladly take up this challenge. Mostly because we were really impressed with the bauxite aluminium frame and headband. 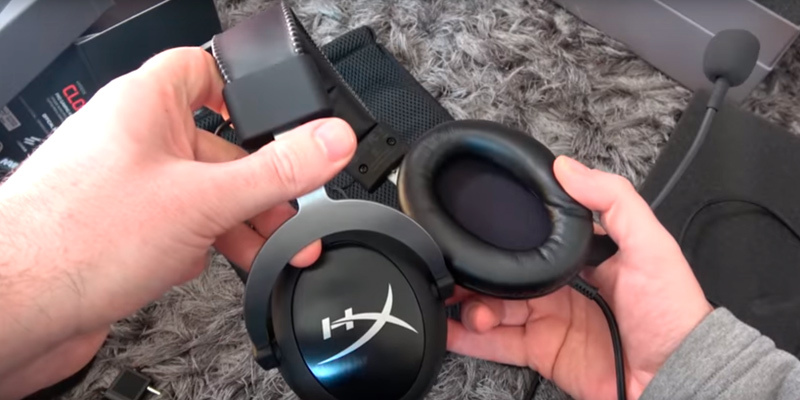 The latter is especially important since it doesn't make the model any less lightweight or flexible but it does make the headset a lot more sturdy, so you get solid durability without sacrificing comfort in return. Ergonomics was always the company's strong suit and, with this model, you can really see why so many professional players put their trust in the company. Aside from the aforementioned band, this gaming headset comes equipped with interchangeable ear cushions, oval earcups, and the company's iconic fully retractable mic. All of these things add up to an optimal form, which has clearly been the integral focus in the model's design. With this headset, you'll stay comfortable, regardless of how long your typical gaming session gets. By the way, aside from the iconic green, the headset comes in pink and white. 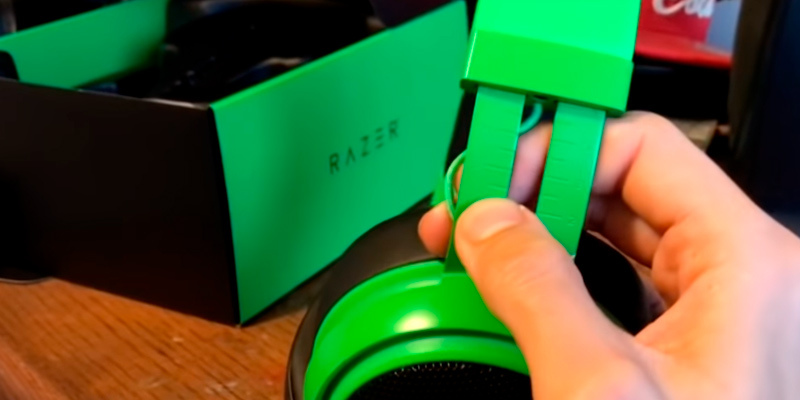 Even the biggest Razer haters will admit that the company seldom skimps on the sound quality. Sure, their headphones have their flaws. With this model, it is mostly the lack of the Virtual surround sound technology. But we're willing to let it slide thanks to the company's 50-mm custom-tuned drivers. 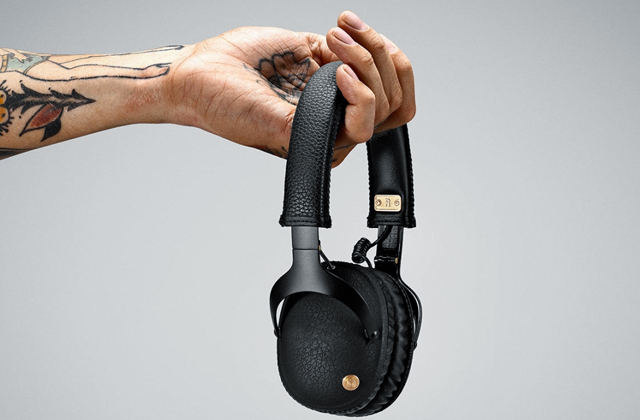 Whether it is more the tune or the design, the drivers bring forth particularly rich audio. The crystal-clear highs and rumbling lows that they produce will virtually put you right in the middle of the action. So, what else is there to it? Well, we could go down the more technical road and explain how the model's higher-than-average frequency range and sound pressure level won't let you miss a single sound and provide you with a solid competitive advantage over your opponents. But we don't want to bore you with the details. Instead, before wrapping this whole thing up, we'd like to highlight the fact that this universal headset is compatible with all gaming consoles and that it incorporates a particularly practical and convenient 1.3-m 3.5-mm cable with a 2-m splitter adapter cable. 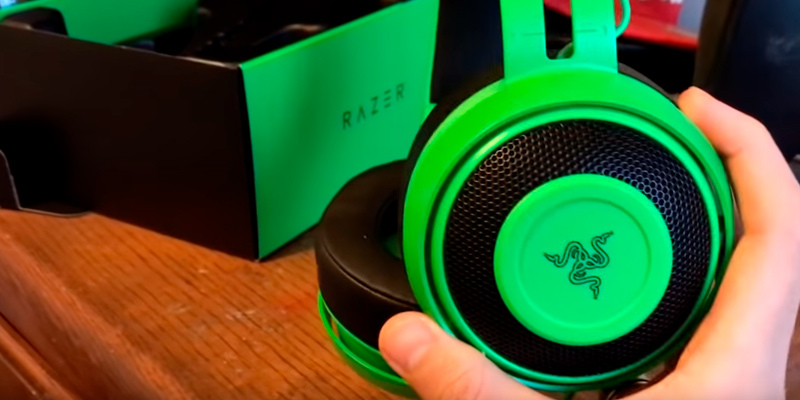 Bottom line, we could recommend Razer Kraken Pro V2 to people who take their gaming endeavours seriously. With this gaming headset, you'll be able to showcase your skills. The drivers and the high frequency range will give you a noticeable competitive advantage over your less fortunate opponents. In the world of computer games, it's very important to have a good sound surround system. And this is what a good and quality gaming headset is designed for. Sure, a device like that is seldom cheap, but gaming is as much about performance as it is about swagger and attitude. In terms of the former, good gaming headsets are able to reduce all background noises and let you totally concentrate on the game. Due to high frequencies, you'll get a full range of sound and incredible sense of presence in your games. That, in turn, will allow you to elevate your gaming performance and take your in-game abilities to a new level. 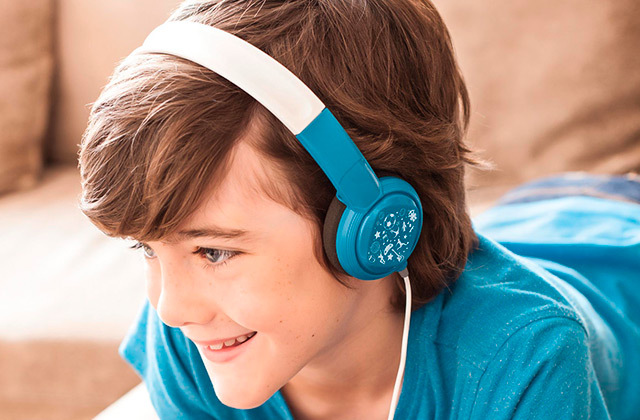 The design of these headsets usually differs from the regular headsets and ensures comfortable wear for a long time. 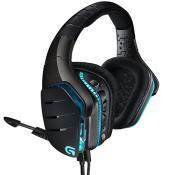 Check our review of the best Gaming headsets on the market and make your choice. 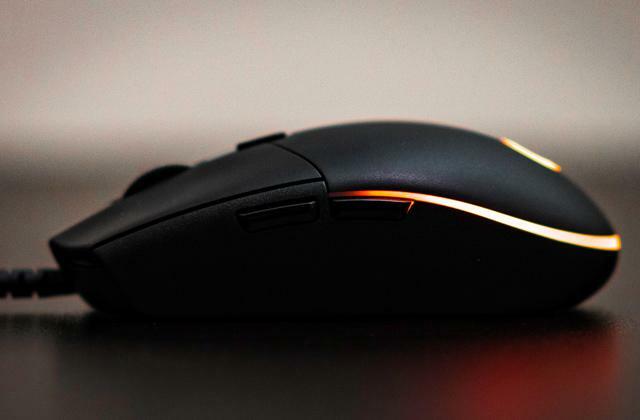 If you love video games, then you may find our gaming laptops and gaming mice reviews interesting or, at the very least, useful. 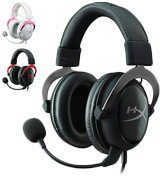 In this review, we will pay attention to the main features of Gaming Headsets. And the first thing to consider is Design and Usability. 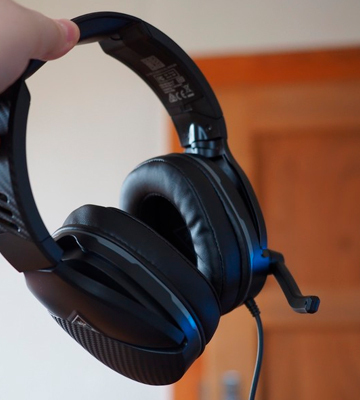 Quality Headsets should have the right supported points to comfortably fit your head, and this is what most manufacturers work on. 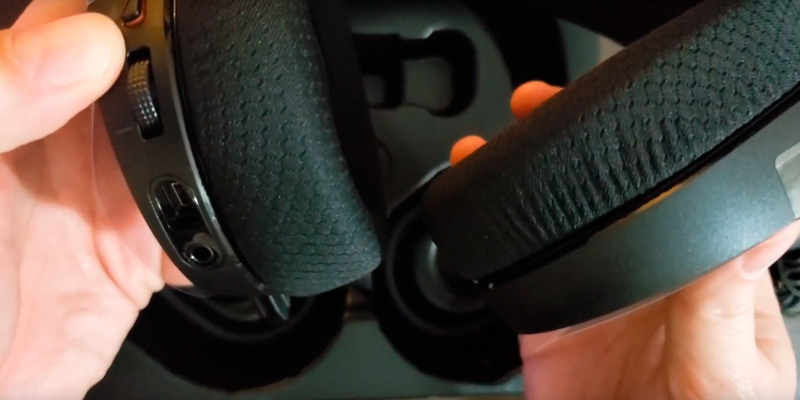 The material and the size of the ear cushions directly affect overall usability. 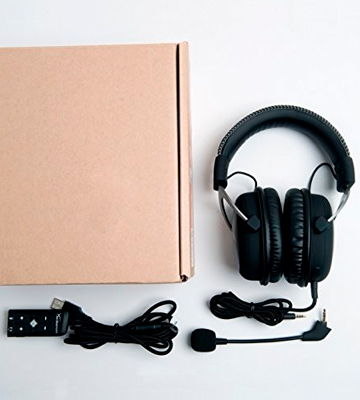 The Headsets made of high-quality polyfoam will ensure a better fit. There are two types of earpieces you may want to choose from: ear cover and overhead. 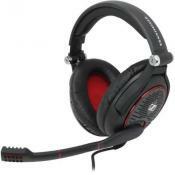 Ear cover Headsets are made to completely abut to the ears and effectively reduce all background noises. Overhead earphones are made in a slightly different way. They leave a gap between an earpiece and the ear and hence, may let some outside sound get in. The optimal size of an earpiece ranges between 40-50mm. One more feature is Connection Methods. They can be wired or wireless. The cable length is very important but what's more important than that is the strength and durability of the Headset. Pay attention to the thickness and the type of a cable. Expensive Gaming Headsets are often equipped with replaceable detachable cables. A wireless system features a docking transmitter and a Headsets receiver. They provide a wireless sound transmission in the range of 15 to 150 meters. The downside of this type is that it requires an installation of a special software, often compatible with just few gaming platforms. To sum up, we would like to mention Features of the listed Headsets. The way you're going to use the Headsets and an option to use a microphone is what's important to pay attention to. Some Headsets are controlled via a remote control on the cable, others are set via the buttons placed on the Headset. Consider how you're going to regulate the volume, control the microphone, use a client chat, and listen to music. All these things are important in the longer perspective. For example, a modular microphone is easy to take off and plug in the speaker. It would also be nice if you could connect the Headset to your player and use it on the street, not tangled in the wires. 1. 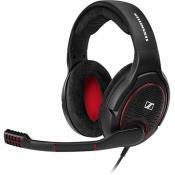 How To Choose The Best Gaming Headset, Sennheiser. 3. What to look for when buying a gaming headset, PCgamesN.